My father’s record collection is split into two halves, each on its own side of the stereo cabinet: on one side, folk and Americana; on the other, blues and soul. But for most of my life, it’s been Memphis, Chicago, and New Orleans which leave the sleeve so often: Ray Charles, The Staples Singers, Marcia Ball…and the Queen of Soul herself, Aretha Franklin. 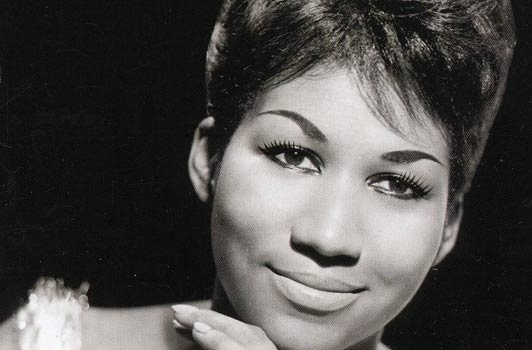 Legitimately born of a Memphis preacher man and an accomplished piano player and vocalist – all of which would find its way into her powerful gospel style – Aretha was an interpreter, not a songwriter. Listed first on Rolling Stone’s countdown of the greatest singers of all time, she released over 40 albums since her 1961 self-titled debut, and hit number one on the Billboard charts 20 times between 1967 (I Never Loved a Man (The Way I Love You)) and 1985 (Freeway of Love), even though the majority of the songs we most associate with her work were either originally penned for others in the genre, or performed by them first. But the Queen of Soul earned her name by making these songs her own. Although song co-author Carole King’s Tapestry take on (You Make Me Feel Like A) Natural Woman is historical, it follows Franklin’s in both history and the pantheon. Her version of The Weight, released the year after The Band’s original, charted much higher in the US market, and helped sustain the song’s presence as a future soundtrack staple for films set in the sixties. Before it was hers, Until You Come Back To Me was recorded first by songwriter Stevie Wonder, though not released until afterwards. Sisters Are Doin’ It For Themselves was originally written by The Eurythmics as a duet with Tina Turner, who was unavailable. And perhaps most significantly, Respect – a pleading meditation on aspirational breadwinner masculinity in the hands of Otis Redding – became an anthem of empowerment in Aretha’s throat, thanks to the spelled-out chorus and genderbent lyrical approach; that her flourishes survive in essentially every cover known to humankind says all it needs to about her definitive success. Appropriately, then, today’s set is a mixed bag: some classic, some transformed; some soulful, some stripped and broken. There’s country in here, as might be expected, given how much crossover already exists between the eminently American genres, but there’s also soft piano balladry, chamberfolk, contemporary popfolk and more, sourced from a hodgepodge of YouTube sessions and studio craft, as befits homage to a respected artist whose reach and influence have been so vast. And it’s all wonderful, in tribute to a true-blue queen still performing – and going strong – at 75. Enjoy. Always ad-free and artist-centric, Cover Lay Down is fast approaching its tenth anniversary on the web thanks to the lovers, the dreamers, and YOU. Want to lend your support? Donate today and snag a set of exclusive covers from 2015-2016 as our thank-you gift!